CAPE COD, Mass. - July 5, 2017 - PRLog -- Author Devon Ellington's newest short digital release is set to go live on July 10, 2017. 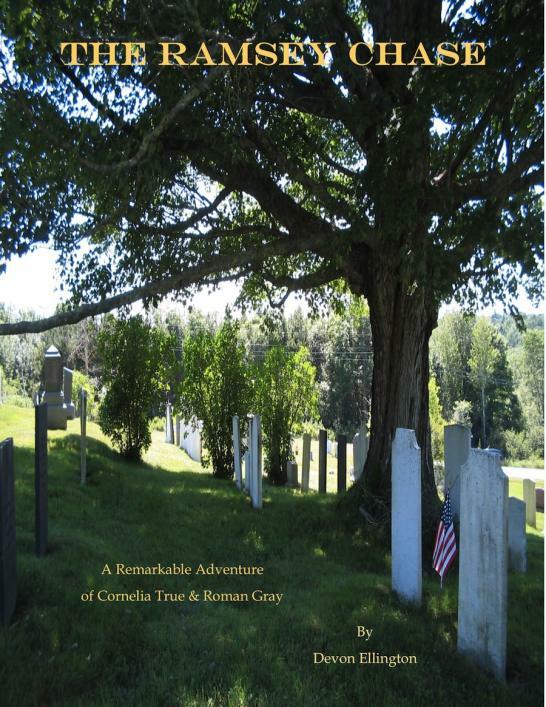 "The Ramsey Chase" is the first "Remarkable Adventure" of Cornelia True and Roman Gray. Miss Cornelia True lives in Bodwin's Ferry, a small seacoast town, with her sisters Arabella and Viola. Her life changes forever when Roman Gray, a "fixer" from the future and across the seas from the metropolis of Newest Yorkke, lands, naked, amongst Cornelia's petunias due to a glitch in his Device. Together, they embark on a series of remarkable adventures. In "The Ramsey Chase", Roman arrives hunting a time-travelling serial killer who preys on young women for their blood. Bodwin's Ferry is an alternate, somewhat steampunk town based on a small village in Cornwall where Ellington rented a house several years ago -- rearranged, of course, to suit the story. The story plays with tropes of fantasy, gothic, and romance, and makes digs at multiple political divides. It has an arch, faux-British tone to it, although Roman comes from a futuristic alternate New York, and has to adjust to things like home cooking (he's used to processed meals). "I wanted to play with time travel and genre," says Ellington, best known for her urban fantasy Jain Lazarus Adventures and her paranormal archaeological Gwen Finnegan mysteries. "I wanted there to be a stereotypical British flavor to it, and then turn it inside out." Ellington, a former New Yorker who worked on Broadway for many years, traveled extensively in Britain, and spent extended periods of time in Scotland where two of her plays were produced. "The Ramsey Chase" also includes the opening of the next Remarkable Adventure, "Miss Winston Apologizes", set to release in November of this year, and excerpts of other Digital Delights including two short Nina Bell mysteries, a Cabot's Crossing mystery, and a stand-alone sci-fi horror western. Her full-length romantic suspense novel, PLAYING THE ANGLES, is set to release in October, and the Gwen Finnegan mysteries are in negotiation for re-release with a new publisher. The Delectable Digital Delights are available on Smashwords, Kobo, Nook, iBooks, and more. Most shorts are only 99 cents. For further information, buy links, and to read an excerpt, visit http://www.devonellingtonwork.com/delights.html.